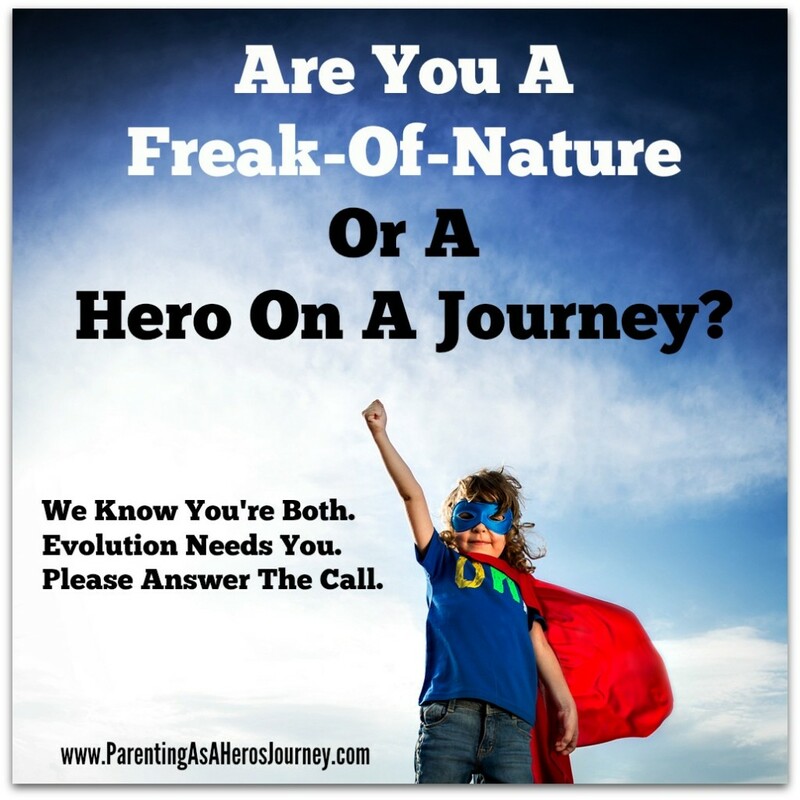 You are at Home 2015 October Conscious Parenting Attachment Parenting / Bonding BreastSLEEPING: Can A New Science-Based Holistic Concept Create Cultural Support And Resources For Parents? In the interview below, the world’s leading expert on mother-baby sleep, Dr. James McKenna, talks with Kindred’s editor, Lisa Reagan, about his new research-based term “breastsleeping” and his hopes for the holistic insight to bridge the non-existent gap between breastfeeding and cosleeping in the minds of public policymakers. Dr. McKenna introduced the new term in a peer-reviewed commentary in the prestigious European journal Acta Paediatrica now found online and out in print in October 2015. End Dangerous Goventment Imposed Bedsharing Mythology. Dr. McKenna intends for this research-based term to help end government-imposed ignorance of cosleeping safety and whose draconian recommendations against cosleeping and bedsharing McKenna calls unscientific, immoral and dangerous. Increase Breastfeeding By Allowing Public Education Of The Already In Existence Safe Bedsharing Guidelines. 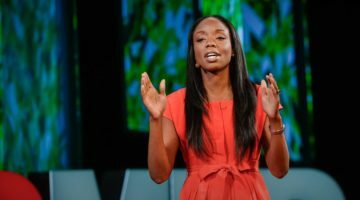 The Academy of Breastfeeding Medicine, and other lactation consultant professional organizations, agree with McKenna, also citing the critical imperative for parent education to support a breastfeeding culture and infant wellness in the US. End Parent Obstacles To Successful And Longterm Breastfeeding. 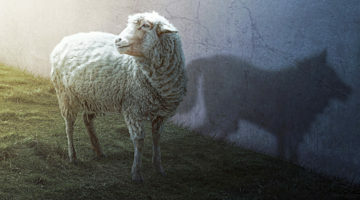 Currently, new parents face a vacuum of education in most hospitals – who abide by AAP dictates; conflicted lactation consultants – who risk job safety if they try to educate parents on bedsharing; status quo compliant pediatricians -informed by the AAP; and terrorizing billboard campaigns featuring babies sleeping with meat cleavers as metaphors for sleeping with their mothers (see the poster below). For over 30 years, Dr. McKenna has studied the neurobiology and physiology of mother-baby sleep. He is the director of the Mother-Baby Behavioral Sleep Laboratory at the University of Notre Dame. In recognition of his work, in 2009 he was admitted as a Fellow into the select body of the American Association for the Advancement of Science, the world’s most prestigious scientific society. 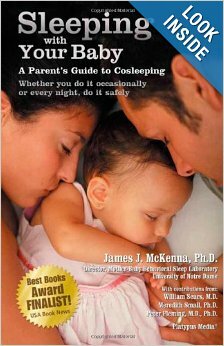 Read Dr. McKenna’s essay, Cosleeping and Biological Imperatives: Why Human Babies Do Not and Should Not Sleep Alone. Watch Kindred’s YouTube playlist of Dr. McKenna’s video interviews here. Create Cultural Support And Resources For Parents? 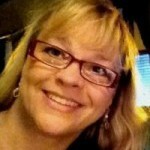 LISA REAGAN: Welcome to Kindred Media and Community, a nonprofit initiative of Families for Conscious Living found at www.KindredMedia.org. This is Lisa Reagan, and today I am talking with Dr. James McKenna, the Director of the Mother-Baby Behavioral Sleep Laboratory at the University of Notre Dame. Dr. McKenna has introduced a new term, the holistic, integrative concept of breastsleeping in a peer-reviewed commentary in the prestigious European journal Acta Paediatrica now found online and out in print in October 2015. So, welcome Dr. McKenna. JAMES MCKENNA: Thank you, Lisa. LISA REAGAN: I need to read the title of your commentary, because this will start us off in the right direction. JAMES MCKENNA: Well, you probably wonder why such a peculiar title. Certainly, it does catch your attention, but it actually is making a very important point, and the point is this, that traditional models of both infant sleep, that is how normal human infants sleep, even models of how species wide human infants breastfeed, are generally studied quite distinctly from each other, and I am trying to make an important biological point, that is to say, based on empirical data there really is no way to measure normal human infant sleep nor any way to measure what constitutes normative patterns of breastfeeding, that is numbers of times per night and sleep architecture that goes along with it unless you have the two conjoined together because in fact it is a biological and behavioral system that coevolved and is indeed simply one system. You will not get normal measurements of infant sleep without seeing how breastmilk delivery by the mother and breastmilk digestion affects metabolism, affects blood pressure, and heart rate, and body temperature, just as you will not understand how breastfeeding unfolds in the environment within which it evolved, its biologically normal environment, unless you are in fact engaged with the baby and the baby is sleeping and/or arousing next to the mother, because that proximity changes the whole patterning of feeds as well as, of course, at the same time changing the ways in which the baby is arousing to feed and to progress through, once it falls asleep, through the various stages of sleep: stage 1, 2, 3 and 4 and REM. That is all tied into the way in which the mother is breastfeeding and the sensory exchanges that go along with it that affect the sleep architecture and the feeding itself. So, even describing it I have to keep going between each of the sort of previously separated domains, breastfeeding on one hand infant sleep on the other. So, I am trying both symbolically to represent that as one uninterrupted word, breastsleeping, as well as a highly-integrated singular system that needs to be measured when in fact mother breastfeeds and her baby is sleeping right next to her. LISA REAGAN: But what we are looking at with this term is that it has the ability to be very powerful in reconciling what parents are told and what parents are doing anyway. Even with zero official guidance or support, cosleeping has doubled in the past decade and 40% of mothers say they sleep with their babies, but researchers think that number is very, very low because most parents will not admit it. 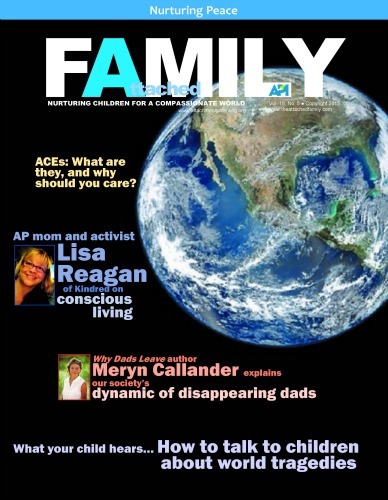 LISA REAGAN: So, right now the landscape that this term is being rolled out onto is one where we have families cosleeping without guidance or support, so not admitting it, and then the American Academy of Pediatrics, AAP, spending millions of dollars in the last decade waging a terrorizing anti-cosleeping and bed sharing campaign. How can the term “breastsleeping” impact this landscape? JAMES MCKENNA: Well, the interesting thing is acknowledging that, as you are suggesting, this shift has already occurred. We are now a breastfeeding normal culture, and the point of the word breastsleeping is to indicate that where you find one you find the other, and it is because of the biological interdependence of the two. They are functionally interdependent systems. And so I am trying to acknowledge that indeed already we are a breastsleeping society as well. If you consider that 77% of mothers now leave the hospital breastfeeding, which is in fact the most recent numbers, we know that there are at least six studies in which the numbers range from the low of about 22% that routinely bed share to a high of 80 to 90% where those breastfeeding mothers in fact are admitting to, and I do not like to put it that way because you know it suggests something is wrong with it but that is indeed how parents worry about it…talking about it, but if you do the numbers already each night in the United States of America starting with the lowest percentage of breastfeeding mothers that do admit to bed sharing, we have anywhere from 1 million to 2.9 to 3 million mothers that are sleeping in bed with their infant and they are doing so without support and without educational guidelines as to how to do it as safely as is possible. It is interesting that one of the reasons that justifies this new concept too is to distinguish it from bottle feeding bed sharing. The baby and the mother on a physiological and a behavioral level are enormously differentially situated compared with what happens when bottle feeding and is bed sharing. Let me explain. A breastfeeding mother who places her baby on a surface next to her, places that baby underneath her tricep at mid-chest level, the baby is always put on its back even without instruction, and the baby turns toward the mother and for most of the night as our laboratory work is documented the baby is looking right at the mother and is really very, very immobile. The baby is able to get to the breast and away from the breast. Now, as they engage with each other the whole sleep architecture of the baby and the feeding patterns change too. With the baby being so close to the mother the baby detects the arousals mom that keeps the baby sleeping more lightly but it also puts the baby in position to process the smells of her milk, which also keeps the babies more aroused and more likely to suckle. So, the amount of feeds that this breastfeeding baby will have immediately does go up. In so far as the mother is concerned, she too is changed by the presence of her baby. She too is very much alerted to the baby’s sounds and movements and touches, etc., and we in our laboratory here have documented how mothers increasingly become even more sensitive to the arousals of their babies and their movements and sensory stimuli. I can tell you that one of our papers we calculated by observation and polysomnography that 60% of the mother’s arousals are explained by the baby having aroused plus or minus two seconds before her, and 40% of the baby’s arousals can be explained by the mother having aroused plus or minus two seconds before the baby did meaning these arousals are induced by the partner and are synchronized and that is telling us that mothers maintain a great sensitivity to what the baby is doing and likewise the baby too that is breastsleeping maintains quite a sensitivity to the mother. You do not find that degree of arousal overlap or partner-inducing the other to arouse in the bottle feeding bed sharing dyad. The reason that is important is we know this is that breastsleeping mothers are highly sensitive and aware of the needs of their babies and where they are in bed compared with the bottle feeding bed sharing dyad. We similarly know that the breastfeeding baby is more sensitive and aware of and interested in what the mother is doing and thus is aware of where it is sleeping in relationship to her too and is able to manage the protection of its own breathing much better by virtue of this awareness. So, you get in addition to all of that, the progression of sleep staging of each that is related to the sleep staging of the other. Again, justifying the fact that the sleep between the two are in fact highly integrated and dependent on the other. So, again I am giving you both the behavioral and the physiological kind of correlates of this very different arrangement when one looks at what happens when a bottle feeding mother or bottle feeding baby sleeps with its mother in bed. JAMES MCKENNA: The other factor that can be dangerous for the bottle feeding bed sharing baby is that the babies move around a lot more. They move up, they move down, they move to the side much, much more than do the breastfeeding baby who is only interested in one thing, and that is smelling its mother’s milk and getting close to where the milk actually is or will be delivered. So, again every way you want to look at it you are finding that the numbers of breastsleeping mothers and babies is in fact extraordinary given those figures. It could even be as high as 3.2 million mothers and babies will have been in bed with each other during the first year of that baby’s life, and to think that this is not, in the sense of numbers, normative is to be naïve and further more is…by withholding safety information which is what is exactly occurring in hospitals, all the safety information for bed sharing has been retracted, you are really putting mothers and babies in jeopardy. Kathy Kendall-Tackett did a survey study of over 6,000 mothers and 25% of those 6,000 mothers found themselves trying to avoid bedsharing by coming out into the living room and sleeping on a much more dangerous area, a sofa or a recliner, and many reported having dropped their babies, and these are reports that are coming out of Great Britain as well by my colleagues Dr. Peter Fleming and Dr. Peter Blair. Did you want to ask a question, Lisa? LISA REAGAN: I did want to talk about the British study that shows the dangers of not educating parents on bedsharing and that they end up on the couch and recliner. JAMES MCKENNA: Yes, indeed. It is also important to know the epidemiological study that has really given me the confidence to take this final step toward creating this new word, and that was a study that was just published in 2014 in PLOS ONE by Peter Blair, lead author, and Dr. Peter Fleming, two of the world renowned leading epidemiologists and no one would challenge that description of their work. They have produced the most internally consistent epidemiological study on SIDS and conditions that may create or hinder it. They have produced the most data-abundant study ever done, meaning drug and alcohol data is in the surveys and is provided, which most studies lack, as well as of course information on smoking and sleeping arrangement and breastfeeding behavior itself. And they found that in the absence of all known hazardous factors such as maternal smoking pre and post, babies being placed on their stomachs, other children in the bed, you know obviously desensitization by drugs or alcohol, and not breastfeeding which actually is an independent risk factor for SIDS, in the absence of these factors not only is bed sharing, which I will say breastsleeping, not dangerous but after three months breastsleeping becomes protective. It is the first epidemiological study showing the protective effect even though many of us have suspected it and have always thought that perhaps it was the fact that most case control moms and dads were not reporting. That is to say, those are families where their babies lived for the first year of life, those case control families were not reporting that they actually were bed sharing and that is critical for getting an accurate what is called a denominator that compares the numbers of babies that do something, in this case those that are bed sharing, that live versus the numbers of babies that do something and die and the variable that we are talking about in terms of doing something is bed sharing. If you have babies that lived parents reporting that they did actually bed share, even though they were reporting they did not you will get a skewed statistical findings showing obviously that it seems to be per any given number of people it is much more probable that a baby will die if those numbers are not reported accurately. JAMES MCKENNA: The mom and dad take the baby and put the baby in the bed. 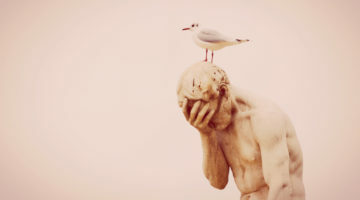 So, what I am…in this long-winded way what I am trying to say is that those epidemiological studies that have shown risk factors for bed sharing never tested how the parents were actually indeed answering that question or even perceiving that question. So, we have a really good reason, and I mention this in the article, for doubting that all of those statistically significant findings were in fact based on not necessarily accurate data on how many of the case controls of the babies that lived were actually bed sharing as well. LISA REAGAN: So, let’s get back to what you said at the beginning which is the reason you saw this term is needed is because it needs to provide some common ground for this very explosive and divided discussion, now if you can call it a discussion, battle that is going on out there. Can A New Research Term “Breastsleeping” Create More Support And Resources For Parents? JAMES MCKENNA: Well, for one thing it is a fresh term, and it makes a very strong case for the fact that not all bedsharing is the same, and that is acknowledged in the paper. 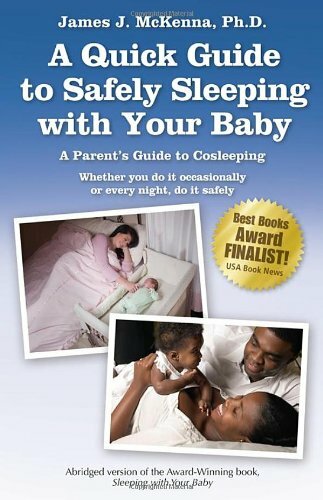 I have been erring on the side of caution in my support of families that bedshare, and I do make the case myself that I have always thought that because of the physiological and behavioral changes that I have documented and Helen Ball has between the bottle/bed sharing diet and breastfeeding/bed sharing – or now breastsleeping diet – that those differences are so significant that I feel more comfortable supporting the breastsleeping diet than I do the bottle bedsharing. Now, I do not want to imply that if this meant the world to a non-breastfeeding mother I could never submit that no matter what she did she could not take care of that baby and avoid overlaying it because I do believe that a non-breastfeeding mother could indeed protect her baby and not roll over on it, but in so far as population-wide recommendations, I think that it is indeed legitimate to distinguish this group. Thus far though, the American Academy of Pediatrics and the National Institutes of Health, the government for all intents and purposes, the people that in fact are involved…and keep in mind it is very tiny number of people – when I say the American Academy of Pediatrics I am talking about 7 to 10 people not hundreds of thousands of scientists arguing over what should be done – and an extremely small number of people in NICHD, National Institute of Childhood Health and Development, that have made these decisions. This is a behavior that is fundamental to defining what our own humanity is, the emotions underlying reaching for your baby and nurturing and caring for your baby at will at night. This is not something that the government, NICHD, or the American Academy of Pediatrics has any right to demand of parents, in fact it is the opposite. They should be serving the interests of parents, which in fact are in record numbers regardless of 15 years of demonization and stigmatization of bedsharing mothers, regardless of all of that, the numbers have doubled and tripled across every group. But, again I think the best way to explain that is to understand breastsleeping: the functional interconnections between breastfeeding and sleeping on the same surface with your baby. That is the way the system was designed to function. There is no conjecture there. There is no speculation. There is no science that even needs to prove that. 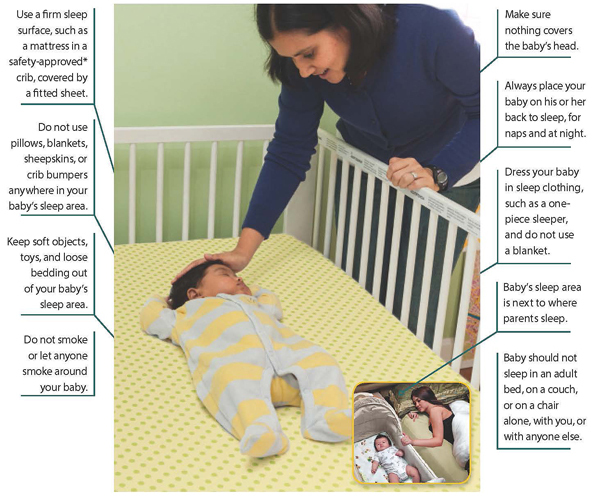 All one needs to do is look around the world and see universally breastsleeping is in fact the pattern. Now, granted we live in an urban industrialized complex culture. Beds did not evolve, mattresses did not evolve, drunken parents did not evolve or desensitized parents by drugs did not evolve. So, we take that reality. 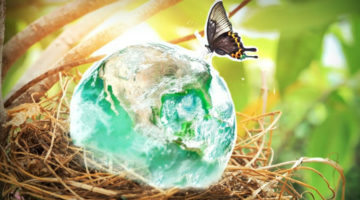 I take that reality very seriously and always have in my work and always have been careful to talk about the conditions and circumstances within which given mattress and blankets and pillows, etc., that there are modifications that need to be done to let the natural protectiveness and the benefits find expression. But, these are modifiable factors. What has been very disturbing to me on a professional level and as a father and as a U.S.A. citizen is that those in authority should know that they are in part misrepresenting what is actually killing the babies and are misrepresenting what the dangers actually are. Bedsharing is not bedsharing is not bedsharing. Very specifically its outcomes are very dependent on exactly who is involved and what they are doing and how it is practiced. But the AAP and NICHD have refused to acknowledge this and by doing so they have created an ideologically driven view of all and any bedsharing that is really absolutely scientifically implausible, untrue, and I believe I must say immoral – to present a perspective that essentially pathologizes one of the fundamental behaviors that human beings have throughout all of our development and evolution and history practiced in the best interest of the baby. I feel that this…this terrible rhetoric is stigmatizing mothers and making them feel guilty about one of the best things that they can do for their baby, to choose to nurture, to breastfeed, and to sleep close to that baby. And to have them have to even consider their bodies are incapable of protecting their baby or that they are appropriately compared to metal cleavers and/or wooden rolling pins who have no control over their bodies is to me immoral and it takes away something from mothers that is theirs only to claim, and that is the ability to use their instincts to respond to their particular babies in ways that make their babies the most happy and healthy. Ad campaign poster by the Milwaukee Health Department. 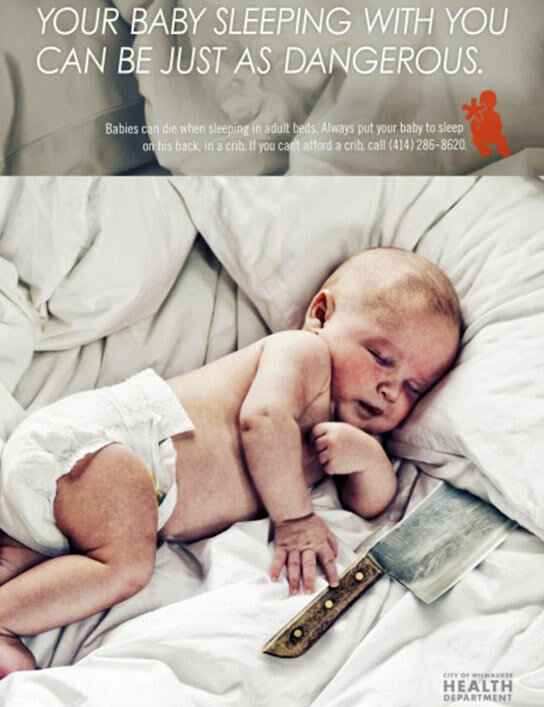 JAMES MCKENNA: And saying that sleeping with your baby is as dangerous as this. LISA REAGAN: Yeah, putting them in bed with a meat cleaver, which may be a contributing factor to parents fudging about where the baby sleeps..
JAMES MCKENNA: But there have been posters that Safe to Sleep campaigns individually statewide and community wide have produced material that is inappropriate, and I do fault the American Academy of Pediatrics for not protecting parents that do choose to bedshare from this kind of attack. They have never come out at all and condemned that kind of rhetoric and they have permitted hospitals to retract all safety information, and they have permitted hospitals to threaten lactation consultants with their jobs being taken from them, that is to say being fired should they say anything about safe bedsharing or that women may consider or may find themselves actually bedsharing without previously planned, and thus when and if they are found in bed with their baby, which they will be, here are the things that one should be very careful of and be on guard against and ways to make your bed as safe as is possible and that information has been taken from them. And you were asking me earlier as to one of the reasons why I am using this word, well it is because above all else parents and mothers should have open venues by which they can talk about their practices with their pediatricians, and the AAP and the NICHD and the kind of these vitriolic warnings have all but made that impossible for responsible caring mothers to be able to feel comfortable approaching the subject and getting information from their own physicians. So, I really think that is one of our, my colleagues Dr. Lee Gettler’s and my hope, is that this word will look neutral and will set a course of defining specifically what type of bedsharing can be considered the safest, that in fact then opens it up for contributions that parents can also make in creating a more holistic bed sharing environment. The other negative factor that has occurred is that for all intents and purposes the only research that that AAP has chosen to do is research that shows negative outcomes. 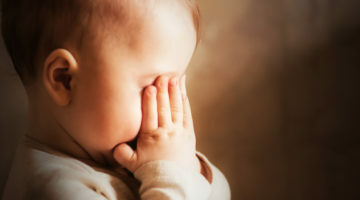 In fact, the kind of information that they want to analyze and what they do not analyze reflects their biases in so far as producing scientific papers and it has really limited if not completely ameliorated a very different kind of science that could look at how mothers – rather than looking at how mothers kill their babies by bedsharing – looking at how mothers keep their babies alive, and believe me that data is there, but you have to have the administration and you have to have an AAP subcommittee that values that and knows that can be important and is important to mothers, and that is not happening and that is why this will have to be I would imagine a bottom up change that it – the change – will come from the fact that mothers and fathers are refusing to comply with these recommendations against any and all bed sharing. And so, I will be really be quite interested to see whether or not this might change the monies allocated for other kinds of research that could actually look at how we can teach moms and dads how to better prepare their beds or what kind of furniture to use to actually bedshare on. But, you need to value it before that kind of allocation for research will take place, and I am hoping to press that issue and to at the very least give mothers and fathers the information they need and a valid beginning point for them to explore and become more informed. I have a website that I get 20 to 40 thousand hits every month on, and people go to the Safety Guidelines for Bedsharing and Cosleeping. So I am very happy that at least I and my colleague, Dr. Helen Ball, have websites that are used very prominently to get information that is being retracted and held back from them by pediatricians – who really do not have any reason to know about the physiology and behavior of bedsharing. They are just simply touting what they are told to say. The pediatricians s most of us have are not researchers in this area and they do not know the kinds of things that you know I have been talking about today, and there is no reason they should. It is unfortunate that they are the vessels by which parents get this bad unqualified, uncompromising news never bedshare that immediately quiets mothers and makes sure that they will not really reveal what they are actually practicing. Breastsleeping Championed By Lactation Consultants? LISA REAGAN: I am wondering in a practical sense if breastsleeping could eventually become a part of the lactation consultant’s training and the understanding that this an integral part the process of reaching optimal lactogenesis. The term has its own epidemiological category now and it is shown to have its own benefits to risk assessment, and lactation consultants are very strident in their training, so I would like…I would personally like to see this included in future lactation consultant training so that there is a way to get the information to parents in hospitals. JAMES MCKENNA: And maybe that will come about. I, and the first point actually that helps justify this new concept too is that to maximize lactogenesis, to bring the milk in and to make it mature you need sustained body contact with the baby, so the baby’s body is designed to experience the stimulation of its mother – its mother’s smell, its feel – and to immediately approach and latch on to the areola. And the baby’s merkel cells on the buccal surface of its cheeks are responding to it and memorizing the feel of this latch – all of these biologically-based behaviors are taking place but the critical ingredient here is sustained contact and touch. So these babies are going to just to breastfed, are of course going to understand and have in their sensory memories these wonderful feelings of what it feels like to actually breastfeed and be in relative constant contact, in one form or another, with the mother. And they are never going to accept going back because it is unusual and an alien experience for a baby to be breastfed and then put back in its own container so to speak. If you really want to see a sterile environment for a human baby or even a mammal you would not even think of putting a puppy in an environment the NICHD has up on its website that says what a safe sleep environment for a human baby looks like. Then you look at it, and it is not safe at all. It is not safe at all even by their own standards because there’s not sight or sound of another person nearby and babies are never supposed to sleep outside the supervision of an adult. Now they make it clear that when they say that they mean on separate surface. Well that is fine, but why would you ever say babies are supposed to sleep alone and picture that as a safe environment when it is a very dangerous environment – when babies sleep in rooms in cribs by themselves. 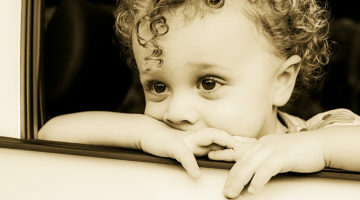 They have a third to a half chance of dying as an independent risk factor for SIDS. So, I guess what to me it shows is how frightened these people are that parents will sleep with their babies or they do not know how to show even the normal healthy arrangement of a baby sleeping in – let’s say a co-sleeper, an arm’s reach co-sleeper or something – next to the bed of their mother. In fact, I think I was the one that hollered at them and said why are you putting babies alone in cribs and saying babies should sleep alone? Even its little motto ABCs of safe sleep is not safe sleep at all, it practically always leaves out breastfeeding which is protective. And not only that, the first point is A alone and no, that is not safe sleep by anybody’s standard and yet that is another example of how biased and kind of the interpretations. The limited way these people want mothers and fathers to get messages is so limited that it is incomplete and thus it is faulty and in itself is dangerous. Can Breastsleeping Support Mothers Getting Better Or More Sleep? LISA REAGAN: It is. And the last thing I just wanted to clarify because I know this is a practical piece in the forefront of exhausted parents’ minds is – can the recognition of what we’re already doing and doing it more – breastsleeping – result in better sleep for the parent? JAMES MCKENNA: Well, that is a relative. Let’s see, my answer has to be relative. No breastfeeding mom sleeps like she did before she had her baby. You know, I mean in fact you probably would not want that because the mother needs to be sensitive to her baby’s presence and movements and needs, etc. But I can tell you in so far as my lab is concerned, and I really do think that we probably have the best data on the physiology on sleep, of breastsleeping, of anyone because it was all not only infrared filmed but both the mother and the baby were being monitored physiologically for brainwaves and breathing and oxygenation and saturation levels, and we had the most variables being measured of any study ever been done. So, I think that the…and what was I talking about? I totally lost my point? LISA REAGAN: I was actually thinking of Kathy Kendall-Tackett’s research that shows mothers do sleep better, breastfeeding mothers. JAMES MCKENNA: Oh, I am sorry…that was the point. We did find well two things. We asked the mothers how did they sleep and our bedsharing moms as opposed to our solitary sleeping breastfeeding moms – 60% of them said they slept enough or good whereas only 40% of the breastfeeding moms that solitary slept said they slept enough or good. But the point I was going to make is that statistically speaking we did find that bedsharing breastfeeding mothers slept more in minutes per sleep night than did the solitary breastfeeding mothers. And it was very clear where the solitary sleeping breastfeeding mothers lost their sleep time: it was when they tried to relocate their baby after they fed them back into the crib where the baby just refused to go, and we finally realized, “Well listen, this baby does not want more milk, this baby just does not want to be left alone.” So the mom kept trying to feed the baby again and the baby really did not even most of the time take the milk, but more than anything they just wanted continuing proximity and contact with the mother. It was a very interesting insight to see where the separate sleeping breastfeeding mothers were losing all their sleep, and it was trying to get the baby to be alone. LISA REAGAN: I just thank you so much for is it 25 years now that you have been doing this work? JAMES MCKENNA: Well, I started about 30 years ago in the theoretical training and neurobiological studies that I wanted to do before I really shifted my emphasis into human mother-infant sleep in relationship to SIDS and breastfeeding, so it has been about 30 years I guess at this point. JAMES MCKENNA: Great, well thank you for. Thanks, Lisa. It was great talking with you and sharing what I have learned. LISA REAGAN: It is tremendous, and I look forward to talk to you again soon. Now available in seven languages!